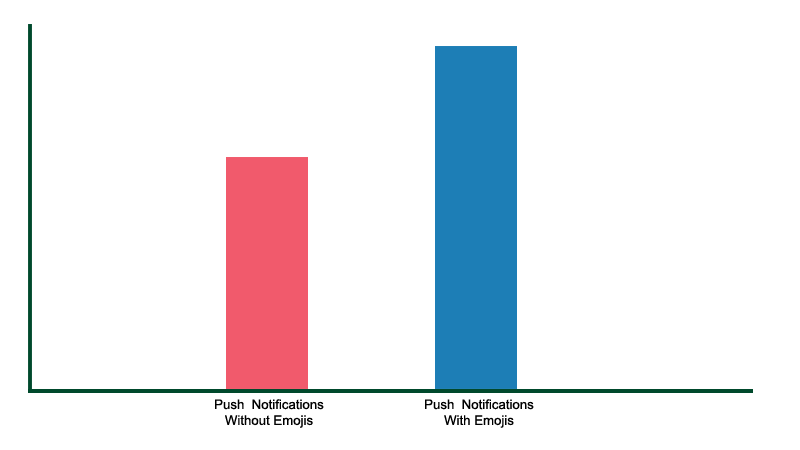 Now according to a recent survey, it has been seen that sending push with Emojis can further boost the CTR of Push Notifications. So, if you are not sending push with Emoji, now is the time to try. Why send Push Notifications with Emoji? Because it is very easy to include emoji in push notifications. So, here are some reasons why you should include emoji to your push notifications. People love emojis and emoji represent many things. People’s decisions are more easily influenced by emoji’s rather than facts. Seeing those little cartoon images can give pleasure to the user’s mind and make users click on them. Including Emoji’s can add visuals to push notifications which will be very attractive and visually appealing. Most of the time, People just look at the push notification and click on the cancel button. Including emoji’s can shorten the length of text and can express more words with one picture. We saw a significant difference in the result. Push notifications which contained Emojis saw a 70% increase in click-through rates. 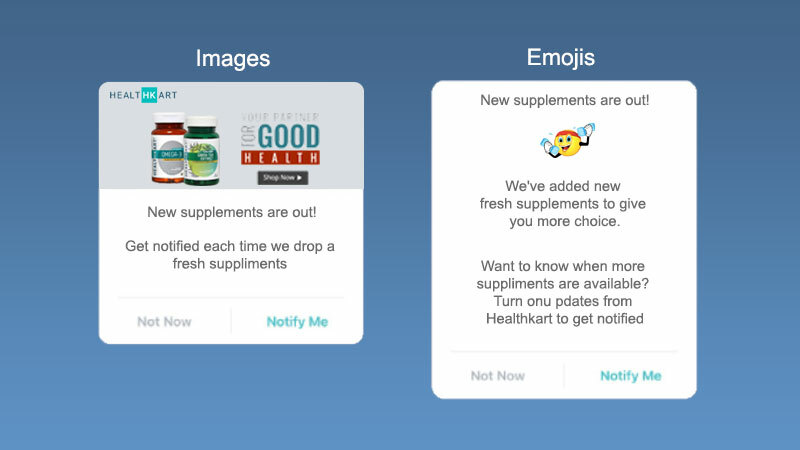 Healthkart an online health product store, performed A/B test on push notification. One half of the sample audience received a push notification with emoji and text, other half received a push notification with image and the same text. The result was in favor of emojis. Push notifications with Emojis perform better than push notifications with images. PVR an entertainment industry, run a same A/B test on their users. They got a better conversion rate in push notifications with emojis. With NotifyVisitors, you can easily send push notifications with Emoji characters. 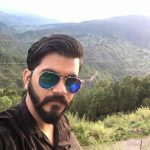 Let’s say you want to give a gift voucher to users who shop more than Rs. 500 with the following push notification: “Buy more than Rs. 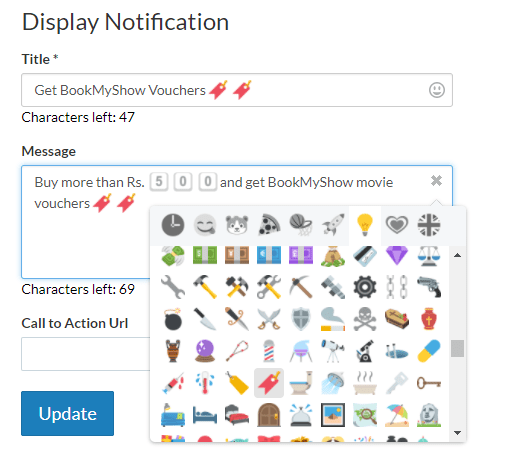 500 and get BookMyShow movie voucher” and you want to include crackers and movie ticket Emoji. While configuring the content of push notifications, in title and message input, you will see yellow emoji icon. Clicking on this icon will open the complete list of emoticons. Simply click on the yellow smiley as you type in your message and choose the Emoji character you want. Results will be better with this push notification than the other push notifications without emoji.